This is GORGEOUS!!! Perfect balance! Great layout! I Love it!! This is BEAUTIFUL! Love everything! TFS!! Oh my goodness. I am drooling over this gorgeous card! Thanks so much for playing with us at CAS-ual Fridays Maureen! Making one layer cards is probably the thing I fear most! LOL! 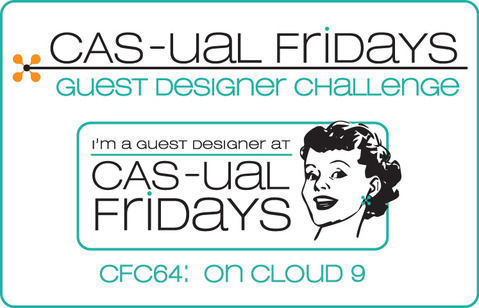 Such a gorgeous design, you made it look easy :) Thanks for playing with us at CAS-ual Fridays! I love the pattern of all those butterflies. It's CAS beautiful. Stunning card! 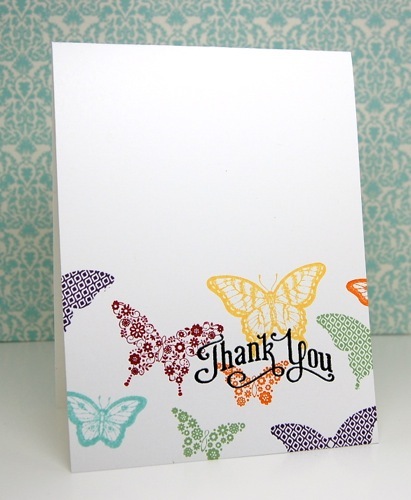 LOVE the butterflies in the different colors! Thanks for playing along with us this week at CAS-ual Fridays!